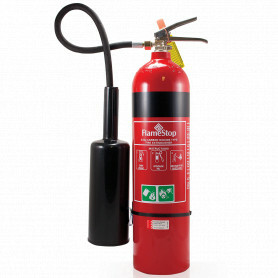 CO2 Extinguishers There are 3 products. 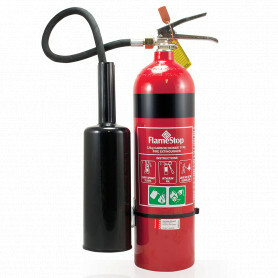 FlameStop manufactures its own range of Australian Standard approved CO2 Extinguishers. 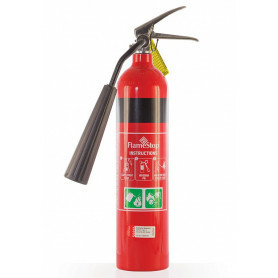 Our CO2 extinguisher range is approved to AS/NZS 1841.6 and have some of the highest ratings in the industry. The cylinder is made from high quality, light weight seamless aluminium and has a high quality nickel coated machined brass valve. The handles are manufactured from stainless steel.